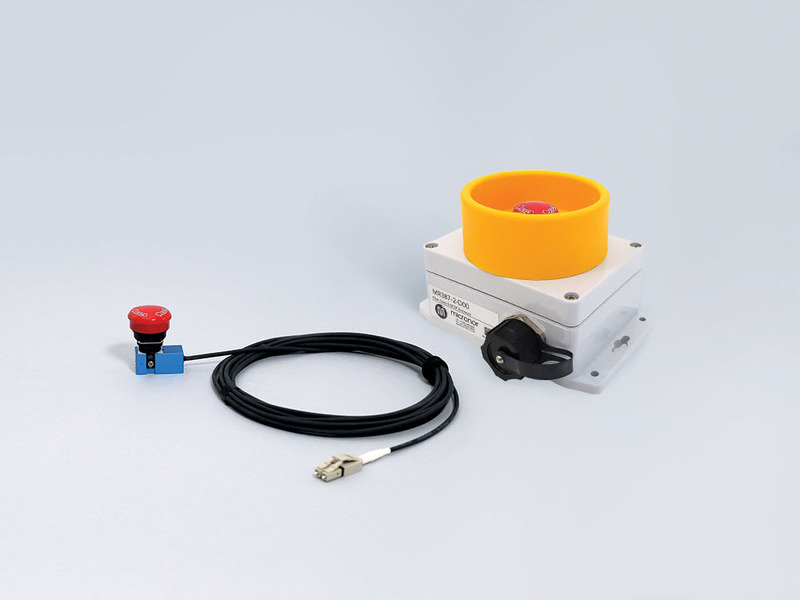 The MR381 Series Emergency Actuator (E-ACTUATOR) Switch is a new, innovative emergency signalling system that can be deployed where EMI immunity is required, in hazardous environments or over long distances – beyond the capabilities of conventional electromechanical solutions. The MR381 E-ACTUATOR system employs a photo interrupt scheme operating over either a duplex multimode or duplex single mode optical link. 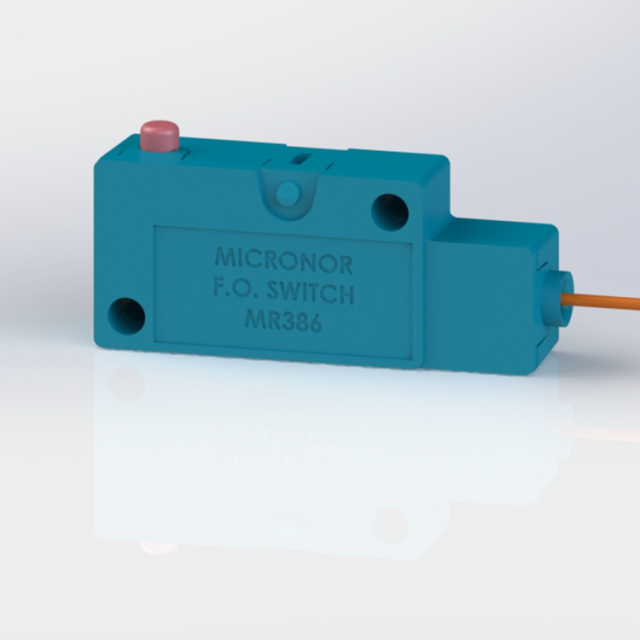 The MR381 E-ACTUATOR is designed for safety applications where a system is not to be activated or powered, such as a fire suppression system, until the E-ACTUATOR is deliberately pushed and engaged. A malfunction of the system shall not activate the emergency event. ISO 13850 ISO 13850 defines the characteristics and requirements for a traditional electromechanical E-STOP switch. 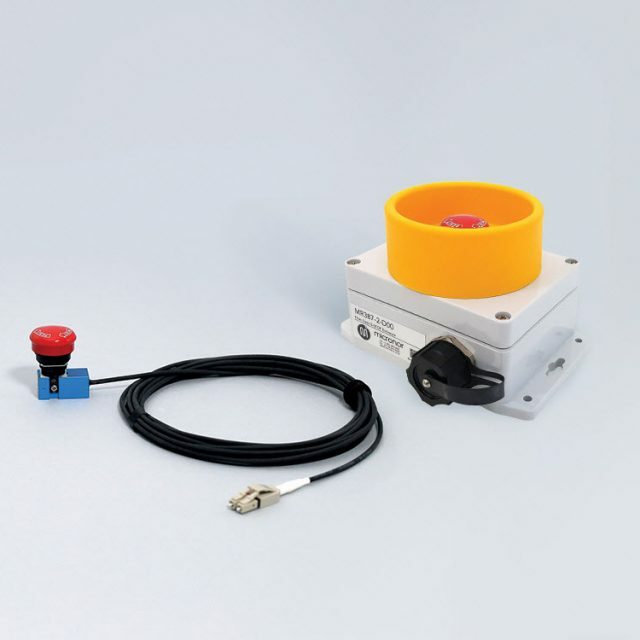 The MR387 Sensor/Controller integrates the definition of purpose and functionality only.